On the 15th of March 2017, the School of Music and Performing Arts welcomed Paul Belmonte to Anselm Studios. Paul is a sign language interpreter and translator who has worked with companies such as the National Theatre Scotland, and we were privileged to have him offer a masterclass on sign language in the theatre to our Performing Arts and Drama students, specifically those who are considering careers in dramaturgy, theatre making and even drama therapy. There was something eye-opening and gratifying for everyone. The masterclass “Visual Language in Performance” was very varied and included a lecture on sign-language and working as a sign-language interpreter in theatre, as well as exercises in sign language, theatre translating, and interpreting. It was an extremely inclusive event in more ways than one, with students not requiring any previous experience with sign language able to attend. 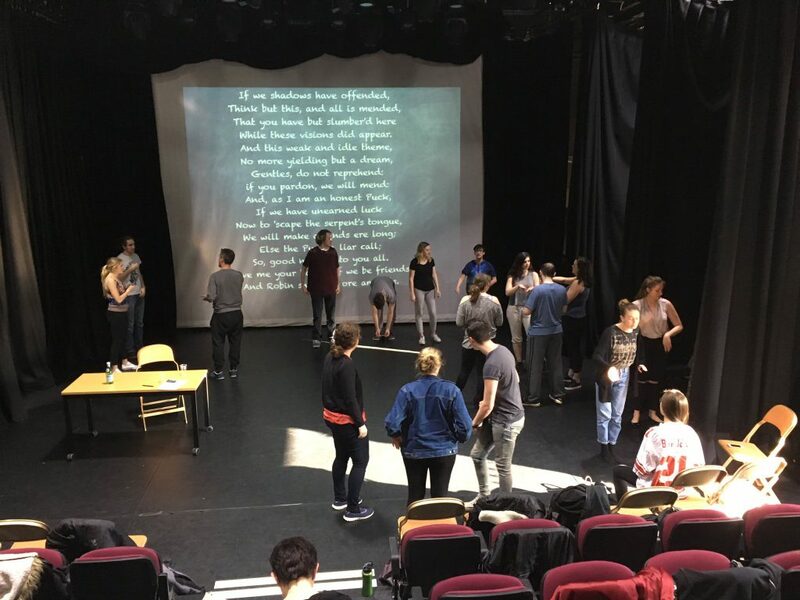 It was a fantastic opportunity to introduce students to a different type of theatre language and dramaturgy and broaden their thinking about their own practice and career path. 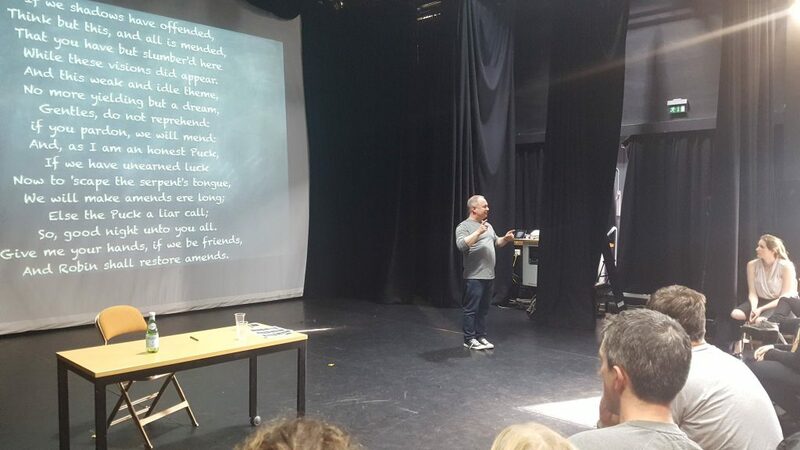 The lecture was based around “signing Shakespeare” with the goal at the end being the students’ ability to confidently sign their way through a verse from the Bard’s “A Midsummer Night’s Dream” – the character Puck’s final address to the audience – which they all achieved and enjoyed immensely. At the end of the masterclass, the students were extremely grateful for the opportunity to learn such a wonderful and important new skill. “I hope this lecture is made available for first and second year students; it honestly is something everyone should learn about – just like the Theatres of the World module, this is another culture! Big thank you for organising this fantastic lecture!” – level six Drama student, Ella. “I had such an amazing time at the sign language masterclass today! I loved it. It definitely gave me a lot to think about’” – level five Drama student, Jade. Staff members at the School of Music and Performing Arts were also in awe of the inspiring lecture Paul had given; recalling and sharing their own experiences with theatrical communication. “My first experience of sharing communication was with a 17-year-old boy who had been blinded by a chemical experiment (that went wrong) at school: we had tickets for “Joseph and his multi-coloured dream coat” with David Essex – yes, this was the ’70’s!! I described what I was seeing: my narrative put the seeing/hearing world together. 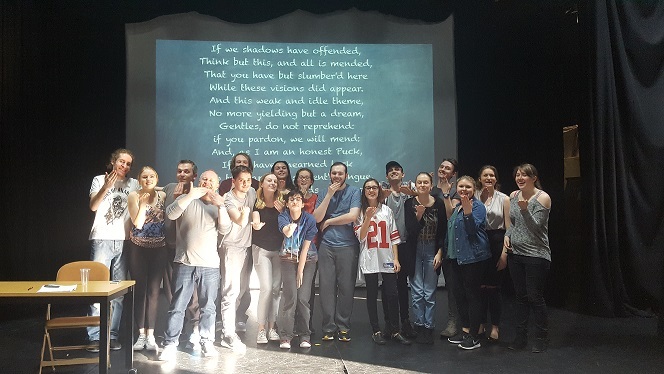 The awareness and connection that has been achieved today (in the masterclass) I hope will stay with us all.” – Janet Morgan, associate lecturer. A huge thank you to Paul Belmonte for his time and experience – to learn more about Paul’s background and his fantastic work, read this brilliant article.